The internet is filled with mouthwatering recipes for a very special Passover meal, or what is traditionally called ‘Passover Seder’. There is a classic Seder menu, a Mediteranean menu and scores of other amazing and tasty options. Are you hungry yet? We bet while looking at all these amazing options on the internet, you might get really excited. But, let’s be honest here…do you have the time to cook and prepare all of that? The chances that any of us would have the time and energy to cook all these great things at the end of a very busy work week, are slim to none. Because cooking takes time (and expertise), and by the time you finish the preparations for the holiday meal, and your guests and relatives show up (don’t forget the cleaning, table setting and etc. ), you probably have very little energy left to host and enjoy your guests. Hosting is not about cooking. Hosting is about making your guests feel at home, and it is about enjoying each other’s company. Don’t get me wrong, food is important, especially at a holiday like Passover…however wouldn’t it be great to have someone prepare the food (or some of it) for you? This will be the second year that manjya chefs will be helping families across the GTA and Ottawa (and this year in Vancouver and Calgary as well!) celebrate Easter and Passover. 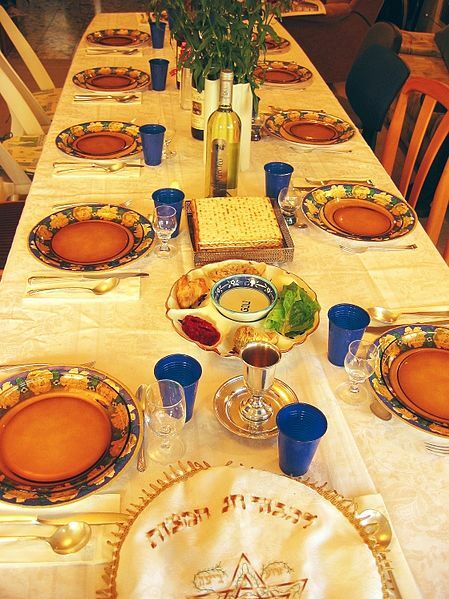 Last year was a great success and allowed many of our clients to enjoy a real Seder at their home, with exquisite food that was custom ordered and delivered by a personal chef to their house. There’s another unique benefit to ordering Passover meals from a personal chef and that is to keep Kosher. In Passover, some of your guests may be keeping Kosher (i.e. will not be eating any wheat products etc.) and it is hard to turn your kitchen into a Passover-Kosher kitchen just for that. But if you order a Kosher meal from a personal chef or a caterer, problem solved! You will get it ready, you will serve it, and your guests will love it. It is also an opportunity to try out other types of Passover food. 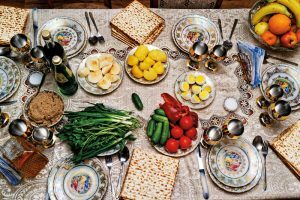 If you are Ashkenazi, then you have your typical food, but how about trying Passover food from other parts of the world. There is so much variety! Tell manjya what type of food you are looking for, and you will get offers and menus from various chefs who can help. Did you know that Pasover is the ‘Holiday of Freedom’ when Jews celebrate their release and Exodus from Egypt: ‘From Slavery to Freedom’? This year it could also be your freedom from cooking. With a manjya personal chef to help, you can celebrate with your guests and really spend time with them at an affordable price. Give it a try or give this gift to a friend.